There is no better way to cruise around Scottsdale than to hop on a bike and enjoy the fresh air and sunshine - all year long. 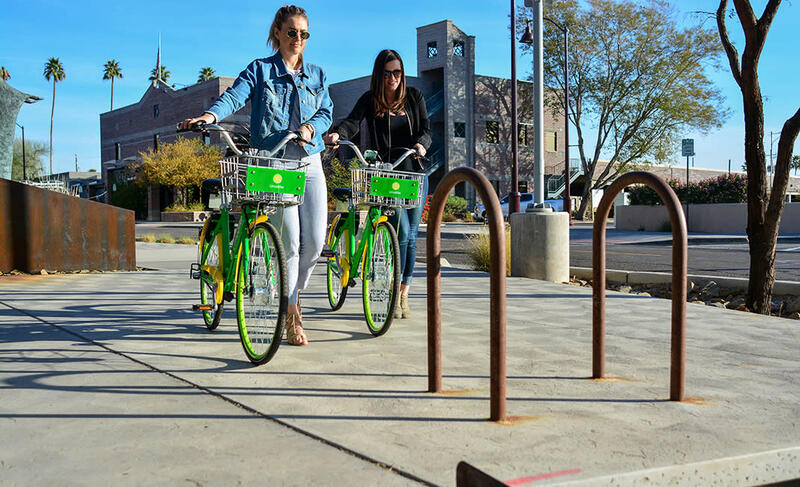 Scottsdale has introduced bike sharing into the mix of transportation options, where dockless bikes can be found all around Old Town for the community to use. Here are some more facts about bike share in Scottsdale. Check out the video above, and continue reading below. It’s easy! Just download the bike-sharing app, create an account, and find a bike. The bicycles are equipped with GPS locators, so you can find the one nearest to you. 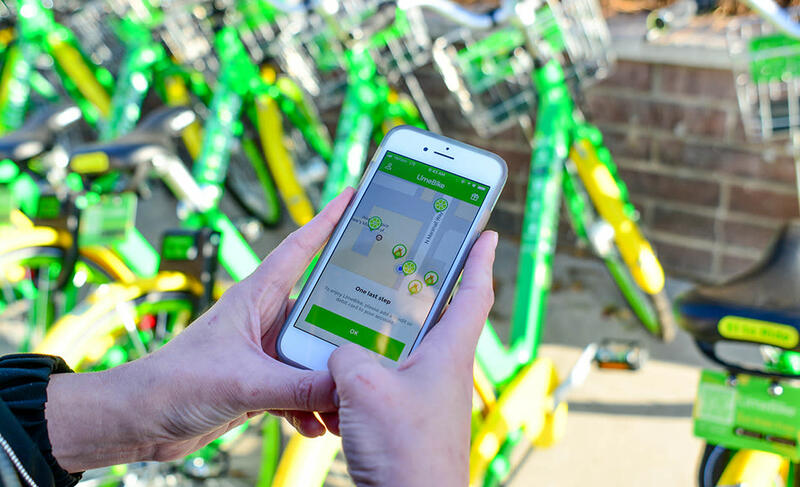 Once you find the bike you want to ride, you can rent and unlock it through the smartphone app. When you’re done with your ride, just legally park and lock the bike, leaving it readily available for the next user. When you use a bike, you’re responsible for where it is parked. The bikes are to be parked only at bike racks or areas that are designed for bike parking. The bike should not be parked in the middle of sidewalks or in areas that block traffic and pedestrian access. If you come across a bike in an unsafe or illegal location, contact the appropriate bike share company. If there is an urgent safety hazard, call the Scottsdale Police Department at 480-312-5000. You can rent a bike for $1 for every 30-minutes. The total cost is charged to the account you created through the smartphone app. The total cost is charged to the account you created through the smartphone app. WHICH BIKE SHARE COMPANIES ARE IN SCOTTSDALE? 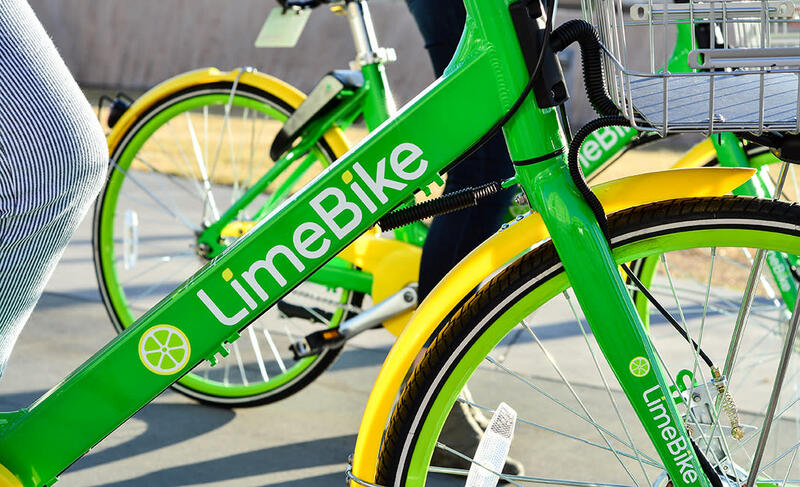 Bike share is a fun, easy and convenient public transit option for getting around town. Not only does it promote sustainable transportation, but it also fills in the gaps that mass transit is not able to serve. 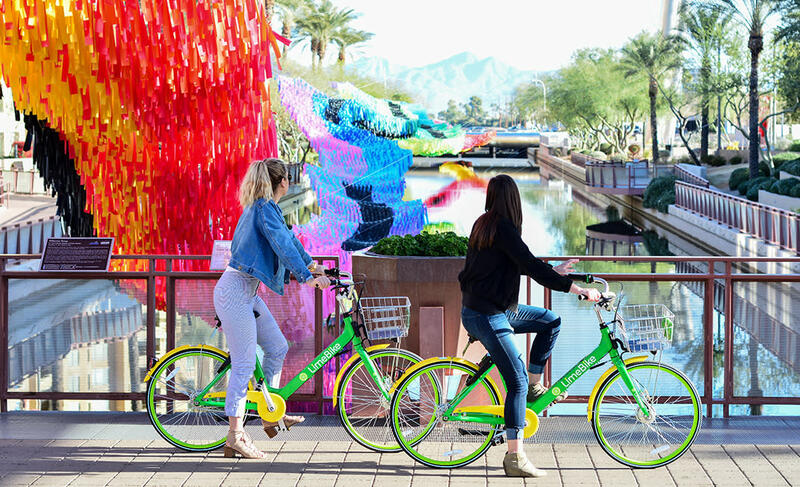 Enjoy the journey around Scottsdale with bike share, anytime and anywhere! For more information on bike share and regulations in the city of Scottsdale, click here.